Throughout 2018, we will be posting to our Then and Now blog series to unearth the roots of our state’s key industries. 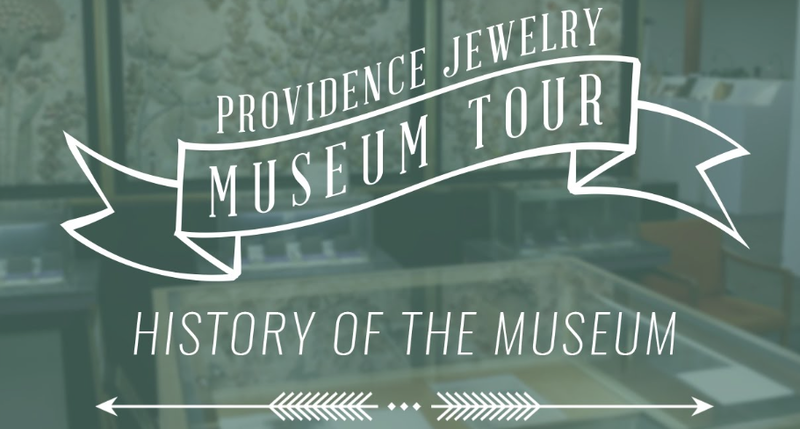 Today, our earliest entrepreneurs and Rhode Island’s rich and surprising history of jewelry manufacturing. In the 1880s, Rhode Island was the No. 1 state for jewelry manufacturing, accounting for one quarter of the entire country’s production, thanks to the more than 200 Providence-based jewelry firms that employed almost 7,000 workers. How did the smallest state become the “jewelry capital of the world”? Jewelry-making in Rhode Island flourished for a century, and rags-to-riches stories abounded. The Great Depression put growth in the Jewelry District on pause until after World War II, but Rhode Island emerged from wartime with manufacturing as its dominant activity. And though the Jewelry District was bisected by the construction of Interstate 195 in the 1960s, jewelry represented the state’s largest manufacturing sector by 1978. At that time, Rhode Island produced 80 percent of the country’s costume jewelry and employed 32,500 workers in the industry. Then came a steep and sudden decline in sales. Fashions changed, and overseas companies that offered cheap labor began competing with local makers. Many Rhode Island companies went out of business. Factories closed. By 1996, only 13,500 people remained employed in jewelry in the state. Around the country, manufacturers were telling similar stories. According to the Bureau of Labor Statistics, in 1960, about one in four American workers had a job in manufacturing. Today fewer than one in 10 are employed in the sector. By most accounts, one jewelry brand in particular has helped Rhode Island return as a world player on the jewelry scene: Alex and Ani, a bangle-making brand founded in 2004. Not only has the brand grown from $4 million in sales in 2010 to $500 million in sales in 2015, but it bridges Rhode Island’s past with its present, since founder Carolyn Rafaelian opened Alex and Ani out of her father’s Rhode Island jewelry factory. She and her sister had worked at the factory as teenagers in the 1960s, and she began to design jewelry herself. Today, her designs have made her America’s only jewelry billionaire, and she sits at the No. 18 spot on the Forbes list of America’s Richest Self-Made Women. The governor, whose late father lost his job at the watch factory when work was shipped overseas, has committed to rebuilding and reinventing Rhode Island’s manufacturing prowess. Jewelry will always be an important part of that story.